As you are preparing for your upcoming nuptials you are probably inundated with all kinds of questions from your dress, your venue, and even what you are choosing as the flavor to your wedding cake. However what you are probably not thinking about quite yet is what happens if Uncle Bob has too much to drink at your reception and causes damage to the venue or himself. As a newly engaged couple or even one days away from their wedding… it is not abnormal to not be thinking about Uncle Bob and his fondness of Jamison. Who really thinks about that? Liquor is it’s own beast. It is completely one thing for you or your guests to cause damage to objects or the venue itself by mistake. It is another animal if this damage is caused due to an alcohol related incident. It is imperative that liquor liability coverage is in place to cover any alcohol-related damage. Otherwise you run the risk of it being excluded from your basic special events policy or your Arizona Wedding Insurance package. Your venue will require it if you are serving alcohol on your Wedding Day. This is pretty black and white. If your venue puts it in it’s contract and you do not have the coverage in place or secured, you run the risk of having them cancel your event on that day. I think this one is pretty straight forward. Liquor Liability is an affordable way to protect you from greater costs. Liquor Liability coverage can help protect you against defense costs in a lawsuit if you are found responsible for an alcohol-related lawsuit. Even if you are cleared of liability for injury or damage in most states the cost of defending yourself can be brutal. Check with your Arizona Wedding Insurance professional to make sure this coverage is included in your existing wedding policy package. You can purchase Liquor Liability as an addition to your Wedding Policy Package up until the day of your wedding in most states. You would want to make sure to contact your agent however as long as the policy is paid for in full as of the event date, you typically add this coverage up until the day of. By purchasing liquor liability it is included in the general liability section of your policy, which means based on a per occurrence incident, there is no deductible to the insured. This can vary per state however in most cases this would be the case. On your wedding day the last thing you want to have to do is worry about the small details that go along with “risk” or “exposure” of having liquor being served. You want to make sure you are not only protecting yourself from additional cost but you want to make sure to give yourself the peace of mind that is needed on the biggest day of your life. 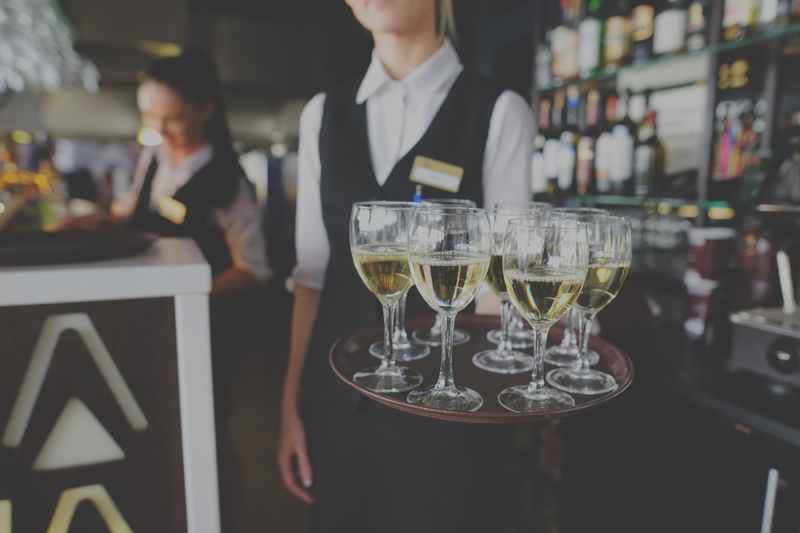 By accepting liquor liability coverage on your policy, your agent can provide the venue of your choice, with a certificate of insurance showing them listed on the policy and protecting your event for not only the wedding itself but also from the liability of serving liquor at your event. Your agent will also be there to answer any questions you might have as well as help facilitate any claims process if something should ever happen at your event. This is crucial in times of stress where you might not always know who to call. Our hope is that you never have to use your liquor liability policy, however if the time arises where you have to… you will have the peace of mind in place that we have it covered.